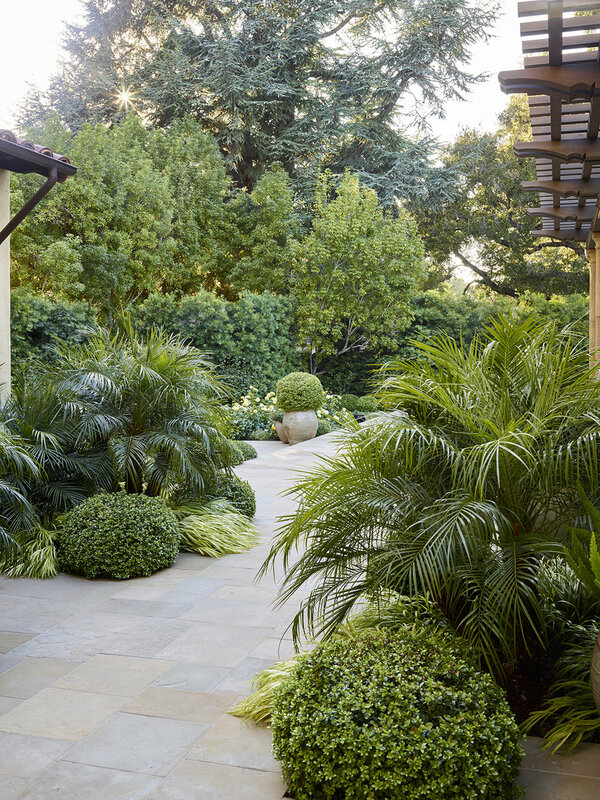 At Curtis Edward Dennison Landscape, fine gardening is a fine art. 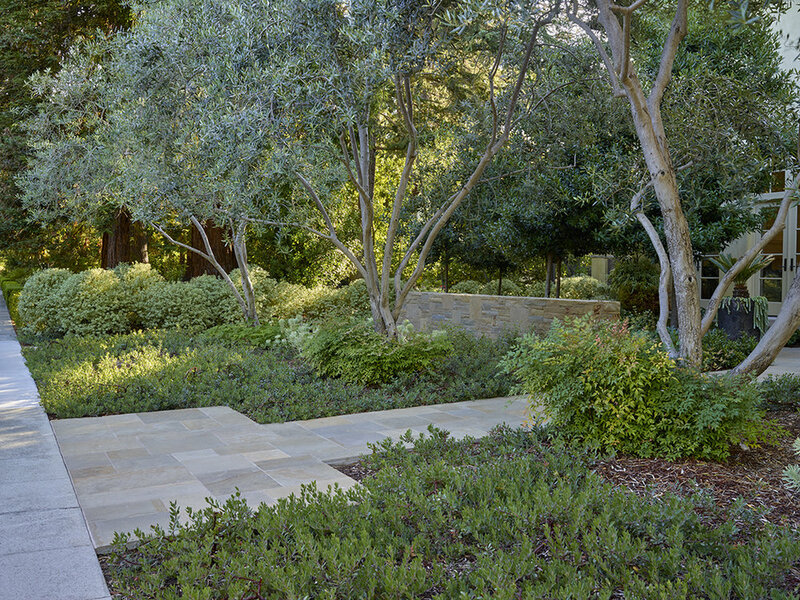 Our collaborative Maintenance team consists of dedicated Landscape Project Managers, knowledgeable Horticulturalists, and highly skilled gardeners who work together to plan, shape, and continuously beautify your outdoor space. Our landscapes thrive through a focus on holistic horticultural solutions, conscientious irrigation management, and detailed hand pruning. Our dedicated Maintenance Project Managers work alongside our crews to look after their safety, and to organize all aspects of the gardening process from seasonal pruning and aesthetic shaping, to irrigation management, to planting and clean-up. While the management team is a guiding presence in the garden, each manager also works 'behind the scenes' to plan tasks such as fertilization, pest and disease control, and annual planting in advance. Year round, our Managers keep detailed records of work performed during each crew visit, so that no task however big or small, is missed or duplicated by mistake. Our knowledgeable, friendly Project Managers are available in person, by phone and e-mail to answer any questions or you may have about your plants and garden. At Curtis Edward Dennison Landscape, we love the land and all its living things, especially plants. We work proactively using organic methods to horticultural issues, such as plant disease and invasive pests. Our ongoing plant care is done mostly by hand, meaning that every tree, shrub and hedge is pruned by a skilled gardener using trusty hand shears. Yellowing leaves are removed by hand, barks and mulches, all with hand old-fashioned hand tools. Click here for a detailed menu of our specialized ongoing maintenance service. A dazzling display of color and foliage for your special occasions creates the perfect atmosphere for making memories. For events such as weddings, birthdays, and remembrance celebrations, we provide our clients spectacular instant visual impact with an array of flowering plants in full bloom. Through an in depth color consultation, we get to know your color preferences as well as the mood you are creating. From that point, we deliver perfect plants on time for your special moments. Our experienced Irrigation Technicians are highly skilled with installing new irrigation systems as well as maintaining and improving existing systems. The maintenance team works proactively with Irrigation techs in programming your watering schedule to ensure each planting is delivered with the adequate amount of water to thrive, thereby reducing water waste. We are also swift responders in responding to the inevitable leak. We have experience with the full range of irrigation system configurations from drip to micro drip, rising spray heads and much more. Curtis Edward Dennison Landscape is a proud member of the Irrigation Association, an organization dedicated to the education of Irrigation Technicians nationwide and furthering awareness around water conservation.